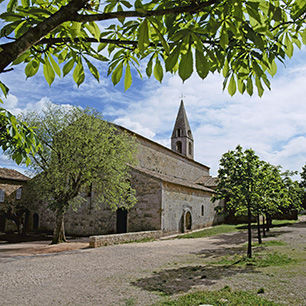 In Fréjus, in the Var department, visit the Cathedral complex and see the incredible painted ceilings. 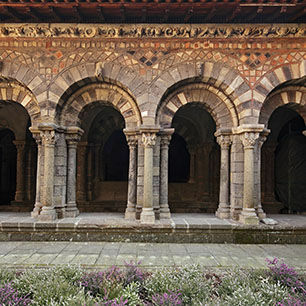 The cloister of a group of cathedral buildings. 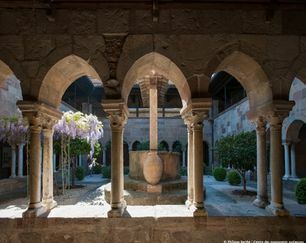 The cloister belongs to a set of buildings which were built between the 5th and 14th centuries on the site of a Roman city founded by Julius Caesar in 49 BC. The cathedral church of Saint Leontius has two naves side by side. It includes stalls and a reredos from the 15th century. 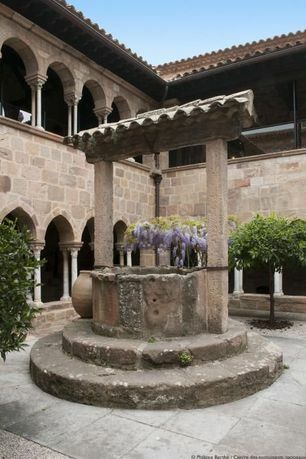 The baptistery incorporates Roman columns and still has a 5th-century baptismal basin large enough for baptism by immersion. It is one of the oldest in France.